Leckie: Lieutenant's Log, Entry 14: The Special Agent. Captain Adam: Well Guest Saffron, since it looks like we’ll be together for a while, let’s get you acquainted with the rest of the crew. ATTENTION! Saffron: Ooh, I like a man who commands respect. Captain Adam: Uh.. yes. You’ve already met Detectives Connis and Urswin. Saffron: And the wonderful Leckie! She helped me connect to your wi-fi so she’s my favorite so far. But don’t worry, you can still catch up if you play your cards right. Captain Adam: (uncomfortable but recovers) I… This is our engineer, Sergeant Stanistem. Saffron: Uh, I think my translation spell isn’t working on him. Captain Adam: Our translation software can’t get through either. It’s just noise really. Sergeant Stanistem prefers to express himself in tone and timbre, rather than forming words and sentences. Captain Adam: Here we have our youngest crew member, Cadet Caffree. Cadet Caffree: (excited) Permission to speak freely, sir? Saffron: Oh come on, Cap. Let the kid speak. Captain Adam: That’s not the best idea, Guest Saffron. Captain Adam: Very impressive, Guest Saffron. This unnatural may-gic of yours certainly has its uses. Captain Adam: (to crew) Dismissed! (to Saffron) Guest Saffron, would you like a tour of the ship? Saffron: Sure! Can I grab onto your arm? You know, so I don’t get lost? Saffron: But before that, do you think I can get one of your groovy uniforms? I need one in a size petite and curvy. Detective Connis: There you are! Captain Adam: Ah, Detective Connis! You came at an opportune moment. If you would be so kind as to give Guest Saffron a tour of the ship? Detective Connis: Tour? With the workload I got? Thanks to this winged menace commandeering our ship, Central Command sent an epic novel’s worth of paperwork to my drive. Get over here Guest, the least you can do is help me fill out some of these questions. Detective Connis: Sit down there. Saffron: “Please” seems to be another magic word missing from your dimension. Detective Connis: Let’s just get this over with. Detective Connis: Just help me fill out this paperwork. Then I’ll answer your inane questions. Saffron: How about one for you, one for me? Detective Connis: *breathes through teeth* Special Agent Katticus Attison is kind of legend among law enforcement. He - uh, I think he’s a he right now - He never left a case unsolved. Saffron: Except this one, obvi. Detective Connis: Show some respect! He died five times in the last two years trying to track down Starbeard - Oh Stars, now I’m saying it. Saffron: What do you mean “died”? Detective Connis: Oh no, it’s my turn. What are these things Starbeard stole? Saffron: Dragon eggs. Three of them. Detective Connis: But what are they? Saffron: Eggs that have dragons in them. Duh. What do you mean “died”? Detective Connis: *groans* When a highly valuable agent dies in the line of duty, they transfer their memories to their replacement. Katticus Attison holds the memories and abilities of all the previous agents that held his position. Detective Connis: Why does Starbeard want the dragon eggs? Are they a delicacy? Leckie: You seem to have hit upon some cultural taboos, Detective. Saffron: Dang right she did! Detective Urswin: Er, Detective Connis, perhaps it's best if I relieve you? Detective Urswin: Guest Saffron, perhaps if we know what dragons are, exactly? Saffron: What are dragons? (babytalk) They’re only the cutest most adorablest most cuddliest creatures in the entire universe. Detective Urswin: They are aesthetically pleasant? But why would Starbeard want them? Saffron: Hmmm… If I had to guess... I’d say it’s also because dragons are the most destructive creatures in the universe, and have the power to raze entire civilizations with one fiery swoop. Detective Urswin: What does Starbeard mean to do with such power? Detective Connis: He could enslave entire galaxies, that’s what! I need to rush this report to Central Command! Leckie, give me back my smoking caffeine. Leckie: Detective, you requested that I withhold your caffeine smoking paraphernalia, as you expressed a strong desire to quit. Saffron: In my world, we drink our caffeine. Detective Connis: (aghast) You people are insane. Leckie, please. (pointedly) Before I murder someone. Leckie: Please report to the main entrance. Special Agent Katticus Attison is about to board. Captain Adam: Places people! Move, move move! Leckie: Are you not joining them, Guest Saffron? Saffron: Nah, I’m good. Hey Leckie, why do you keep calling me “Guest Saffron”. Leckie: That is your title. It’s only polite to call someone by their title. Saffron: Except you. Everyone calls you Leckie. Is it because you’re a computer thingy? Captain Adam: Special Agent Att-! Agent Katticus: WHAT DO YOU WANT? Agent Katticus: WHO SENT YOU? Saffron: Good question. I guess in a way Mrs. Scorchington did. She threatened to destroy every atom of life on our world if we don’t get the dragon eggs back. Agent Katticus: And who exactly is this Scorchington to threaten such mass devastation? Agent Katticus: Makes sense. Guest Saffron, your story checks out. Agent Katticus: Captain Bradimov, you’ve obviously never been a mother. Apologies on my abruptness Guest Saffron, but being killed so often in quick succession leaves one a bit… paranoid. CAPTAIN. Agent Katticus: World-ending Dragon or not, why is there a civilian aboard on this highly dangerous mission? Captain Adam: We need Guest Saffron to track the kidnapper, Special Agent. She has… How do I explain this? ...Certain powers. Captain Adam: No, From what we an gather, in her dimension, many possess such powers. 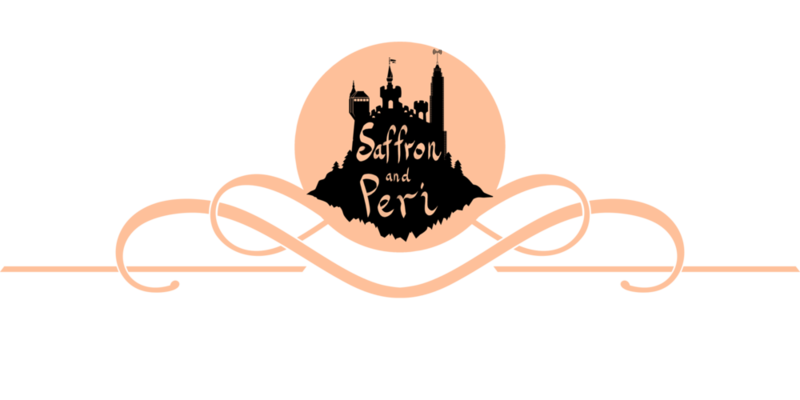 Saffron: Well, maybe anybody can get the hang of magic with enough practice, but some of us are naturally gifted, and only an elite few have truly mastered the art form. Agent Katticus: As is true with all things. LIEUTENANT! Leckie: We should overtake Starbeard in a matter of 2.4 days. Leckie: This is how the kidnapper is listed on my system. Agent Katticus: How in the-.... Mine too. Captain Adam: The certain powers I’ve mentioned, Special Agent. Agent Katticus: Guest Saffron, you changed our database? HOW!? Saffron: Okay, so. Way back when at the Academy. A year in and Peri starts questioning that the traditional fairy godparenting route wasn’t for her, even though Djinn are excellent wish granters. So she signed up for some new classes. And she was worried about starting a new track without any familiar faces, so I signed up for The Magical Computer Interaction class with her. Came in handy, huh? Detective Connis: Everything that comes out of your mouth is nonsense. Agent Katticus: Obviously Guest Saffron has acquired a skill through some educational institution with the original intent of supporting a good friend. Saffron: That’s pretty much it, yeah. Agent Katticus: I shall be at the helm if any of you require anything of me. BUT IT BETTER BE IMPORTANT. Detective Connis: (impressed) Special Agent Attison can speak Saffron? Detective Urswin: He really is as good as they say. Saffron: Connie, you’ve been holding out on me. He IS cute. Captain Adam: He’s seems... capable. Creepy eyes, though. Saffron: Awww, Captain, are you jealous? Leckie: Guest Saffron, you were about to ask me a question. Saffron: Oh yeah! Not that you’re not doing a good job and all, Cap, but Leckie, since you're obviously the smartest and most powerful person here, why aren’t you in charge? Captain Adam: A minute of privacy Leckie? Leckie: Of course, Captain. Audio and visuals off for the next 60 seconds. Captain Adam: (panicked) Listen Guest Saffron, we don’t talk about that kind of thing here. Or anywhere. It’s just not done. Detective Connis: Do you want to create another Robot Uprising? Saffron: Robot Uprising, of course! Just like that one story arc in Star Crossers! Leckie seems cool though. Detective Urswin: The new generation of A.I. doesn’t seem to have the.. Uh… politics of the previous generation. But caution is still advised, yes? Saffron: *scoffs* Whatever. Leckie, come back. We’re done talking about you behind your back! Captain Adam, Detective Connis, and Detective Urswin: SHHHHH. Saffron: This is a seriously toxic work environment you guys. I’m out! Agent Katticus: (fades in) - as I face the possibility of yet another GUEST SAFFRON. Agent Katticus: I COULD HAVE SHOT YOU. Saffron: The others are bumming me out. Mind if I hang out with you for a while? Agent Katticus: How did you get in? Your passkey didn’t register here on my dashboard. Saffron: Oh is that what this is? I thought it was just a cool sci-fi accessory. Agent Katticus: Is this one of the certain powers the Captain mentioned? Agent Katticus: Very well, but next time KNOCK FIRST. Saffron: I caught you dictating your diary, didn’t I? Saffron: It’s okay, I narrate things to myself too. But mostly I do it in my head, you weirdo. Saffron: Chill Katty, I’m just joking. Agent Katticus: It’s the Captain. Shall I? Captain Adam: Guest Saffron, I’m so sorry if I’ve given offense. Saffron: What are you apologizing to me for? Captain Adam: I, uh, yes. Leckie, I’m sorry. You know that there’s no one I trust more in this entire universe. Leckie: No need to apologize Captain. Saffron: You know, if Professor Holle was here, she’d blame all your screwups on the fact that you’re a man. But not me. I believe a man is just as capable of leadership as a woman. And at least your crew is mostly women, so you have lots of good backups if I’m wrong. Peri: Hello? Am I through? Agent Katticus: WHO ARE YOU? Saffron: Katty, easy! It’s just Peri. I told you about her earlier. Peri: I’m sorry to just blurt myself in like this, but something weird is happening with the tracking spell. Peri: There’s this fork? All of the sudden, it’s showing two paths instead of one. Agent Katticus: They’ve split the eggs. Peri: I think so. I think one diverged from the two with Starbeard. And that one seems to be standing still right now. Agent Katticus: Leckie, adjust course to the single egg. Leckie: Approaching new target in .83 days. Agent Katticus: Nothing to do now but wait. Saffron: OR we could get to know each other better. Agent Katticus: All unnecessary personal off the helm NOW. (softly) I need to think. Saffron: Hey, Stan, what do you think of my new uniform? Saffron: Thank you, I do look fabulous in it, don’t I? Captain Adam: Wait, you understood him? Saffron: No, but what else could he possibly be saying?